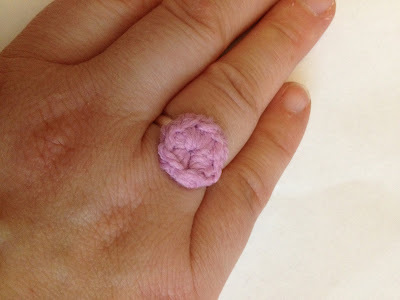 Little crochet roses on adjustable ring bases. They are 1.2cm in diameter. Other colours are available - these pink ones were made for this event.